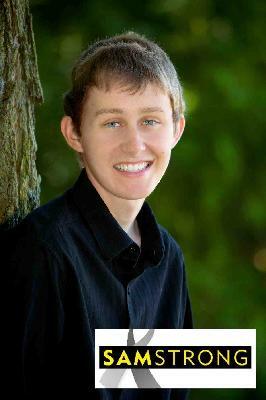 Sam Featherstone was a 19 year old college freshman who battled brain cancer for over three years. He had multiple rounds of chemotherapy and radition and three brain surgeries, but despite all these efforts, the cancer persisted and returned. Sam passed away the morning of January 2, 2013. Sam was committed to raising awareness of and finding a cure for pediatric brain cancer. In his final days, he organized "SamStrong: Search for the Cure", which do-date has raised over $300,000 for research at St. Jude. Sam's family and friends continue his final wish of advancing brain cancer research at St. Jude.